We may earn money or products from the companies mentioned in this post. Read the full disclosure. Some people think that successful entrepreneurs just get lucky, or that they are an “overnight success.” That’s not really how it happens. How it usually happens is by taking deliberate steps. I’m here to tell you about how we did it, and what the most 5 important things were in achieving our success. I’m sharing this with you because I was once in a place where I could never have imagined that I would spend my 30’s retired, living in a dream home and going on amazing vacations. But then we made it happen, and it was awesome! I want more people to be able to do the same. I’m sharing this with you to encourage you to create a plan to follow your dreams, and you can begin by taking action right now. 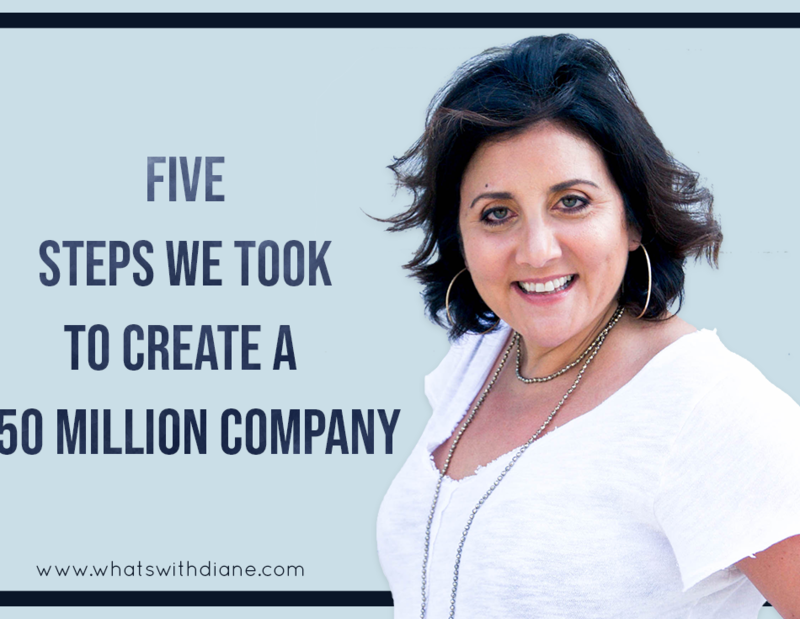 Here are five steps that we took to create a $50 million company that we then sold, allowing us to live a dream life for several years. This isn’t really a “step” but it is incredibly important. As Bill Gross from IdeaLab says in his famous TED Talk, “The idea matters a lot. But timing matters more.” In Southern California in 1996, we were recovering from a recession and an earthquake. People in the title insurance business who had been laid off were ready to get back to work, and home sales were picking up quickly. The title companies needing to create policies were hiring fast. Because we were solving a specific problem, we were in such high demand that no one minded doing business with 27 year – olds who were flying by the seats of their pants! Instead of hemming and hawing, self-doubting or procrastinating, we jumped on the chance to launch the company. As we were young, and just starting out in our careers, we didn’t see it as a giant leap. I can still remember my co-workers asking me about taking such a big risk. I was like, “I’m in my 20’s with an entry-level job, what do I have to lose?” We bought a book called Starting a Temp Agency for Dummies, and we made a business plan. Then we got to work! We planned, wrote down the plan and followed the plan. We knew from the beginning that there was SO much that we didn’t know, so we kept asking for advice. We followed the advice when it made sense, and we passed on what didn’t sound like the right ideas for us. For example, during the first Internet boom, we created a job site. An advisor had told us to get as many users as possible but not to worry about making a profit. Instead of listening to him, we followed a plan that made sense to us, and we stayed in business while many of the dot com startups imploded. 5. Assembled the right team. When the business started growing like crazy, we were also starting a family. As I was on bed rest for 9 weeks with my first pregnancy, we realized how important it was to add to our team. For the right people, we were generous with equity. We often swallowed our egos, allowing our team members to shine in areas where they were better than us. For us, our goal was to exit. With that in mind, we were happy to step aside when appropriate to let others take the lead. And there you have it. 6 years later, we sold our company for multi-millions of dollars, allowing us both to stay at home to raise our 3 little girls for several years. It wasn’t easy, but it was fun. When we finally sold the company, lots of people said how lucky we were. I have no doubt that luck did play a role in our accomplishments. 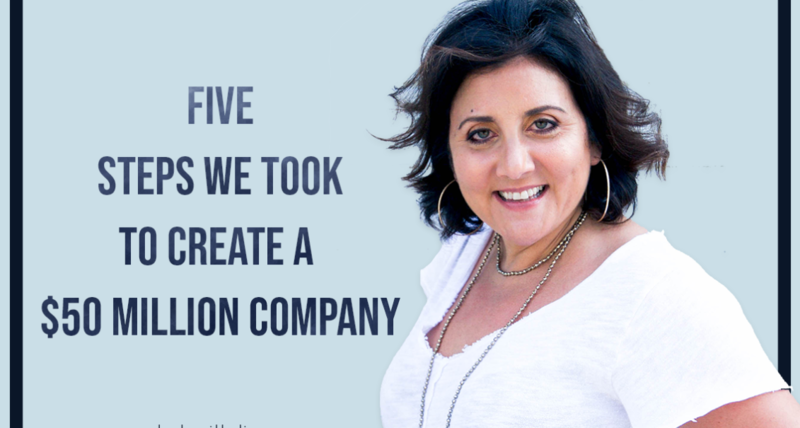 However, I attribute these 5 steps to being the secret to our success! Is the entrepreneurial drive eating you alive? Stop living in the world of overwhelm, and start working smarter so that one day you too can write a post like this of your own! DO YOU SEE THE IMPORTANCE OF A TEAM OR AN ADVISOR BUT YOU DON’T KNOW WHERE TO TURN? email to inquire about working with me as your guide. Next Article Next post: Women going through sh*t together — can you relate? Hi, I’m Diane Prince. I’m a serial entrepreneur, speaker, and single mom to three powerful young women. By day you can find me helping early-stage companies build their revenue through sales. And by night and weekend, I’m working to teach women money making strategies that can pave their way to personal and financial freedom. My first entrepreneurial venture kicked off at age 27 when I founded a temp staffing agency with my then husband. We grew the business to $50 million in revenue before selling it to a publicly traded company. By age 33 I found myself in the midst of success most never imagine, living in Malibu, and enjoying a luxurious life. Soon after the sale of our company, however, my husband and I divorced. During that time, I took control of the second business we’d built together. I was able to generate another successful exit and felt confident I could do it a third time. I decided to take a new risk and found Winnie & Kat, a women’s clothing brand which, similar to Stella & Dot, gave women the chance to run their own businesses and generate flexible income. Despite my passion, the company ultimately failed and the risk I’d taken had left me filing for bankruptcy. My life had been turned upside down. Everything I’d once had was now gone - my husband, businesses, Malibu home, social circle, and lifestyle. I doubted that I could ever make money again and feared that I would be stuck in this new life like so many of the women I’d begun to meet whose stories were not so dissimilar from mine. I knew I wanted to be a better example for my daughters and show them that being a single mom did not mean that I had to be broke. So, I leaned into my natural resourcefulness and committed to finding ways not just to save, but to make really good money. I taught myself how to earn income from affiliate marketing and blogging and even became a top recruiter for a direct sales company. By challenging myself to think differently I discovered that there are endless opportunities to pave your own way, earn a great income, and live your best life. Today, I can proudly say that I’ve worked my way back, this time on my own, and live once again in Malibu. This personal experience has taught me that it’s not only possible to reinvent yourself but that “losing it all” can really be an exciting opportunity to create a new and exciting life. Many of the women who I’ve met on my journey have asked me to teach them what I’ve learned. Their requests and the stories shared by so many others have fueled my mission to change the narrative for single mothers. I hope to use my platform to help other women find their own ways to do bold things and live life to their fullest potential.